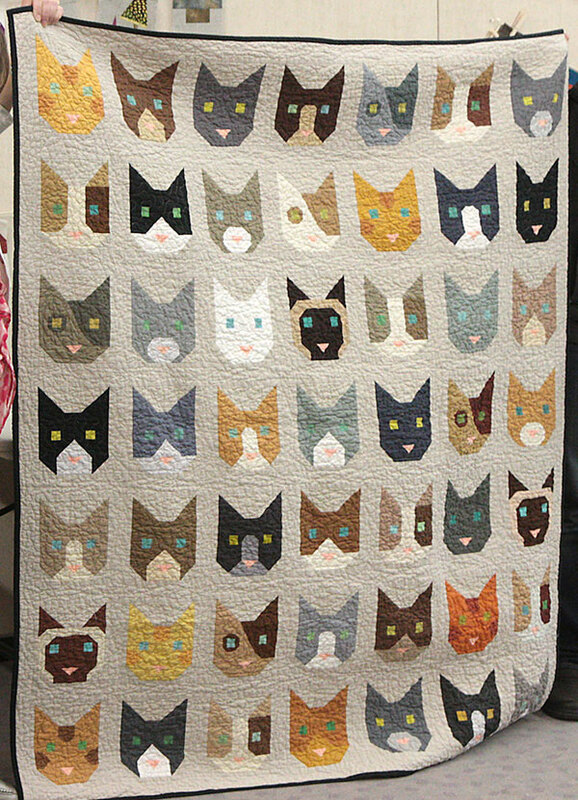 I made this quilt for my youngest, cat-crazed son. It is based on the Elizabeth Hartman pattern “The Kittens”, but an earlier version of it, so mine doesn’t quite look the same. I had lots of fun playing with the variety of cat designs and added several new styles of cats. Of course my son totally loves it!